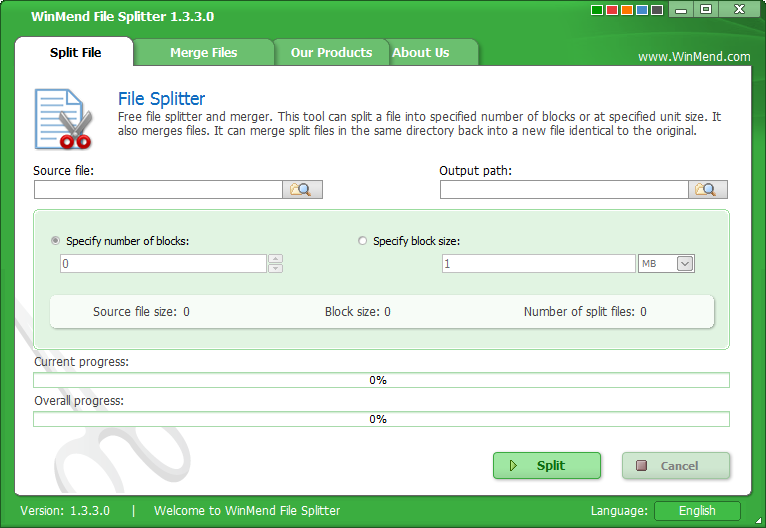 WinMend File Splitter is a free file splitter and merger. It can split a file into specified number of blocks or at specified unit size, so they can be easily attached to an email, or stored in a removable device such as USB drive, floppy disk, MP3, MP4, and mobile phone. It can also be used to merge files. It can merge split files in the same directory back into a new file identical to the original one. With advanced algorithms and clean and simple interface, WinMend File Splitter can help you get done tasks quickly and accurately while ensuring easy and convenient operation. It’s a convenient tool that you will never want to miss.